1. 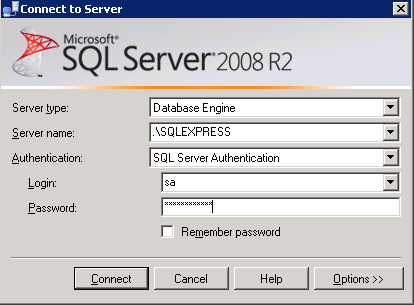 Connect SQL Server Management Studio by entering SQL Server details. 2. 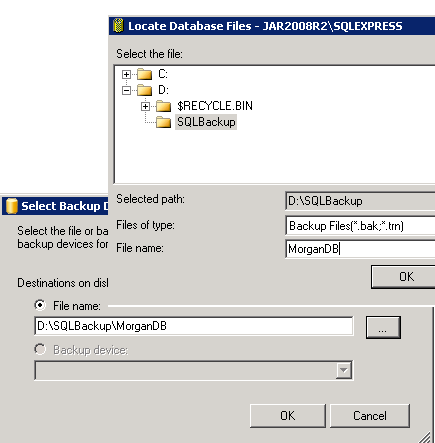 Expand the node Databases, right-click on the database which you want to backup. Select Back Up... option under Tasks menu (Tasks/Back Up...). 3. 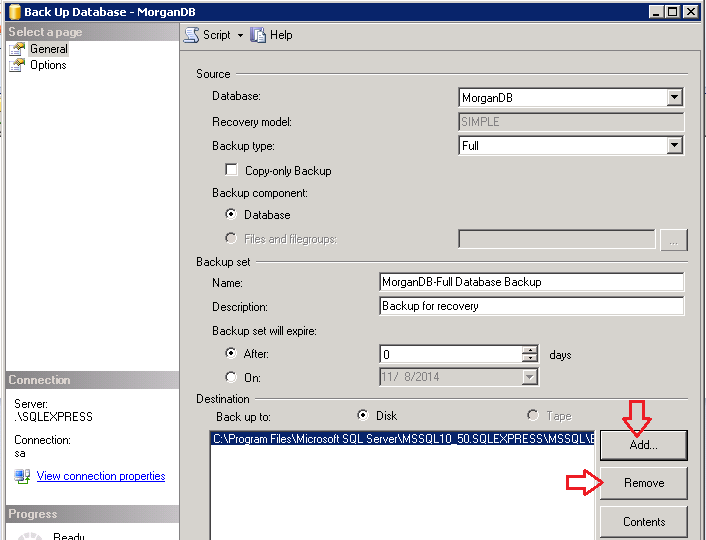 Remove default SQL backup destination by clicking Remove button and click Add to add new Backup destination. 4. 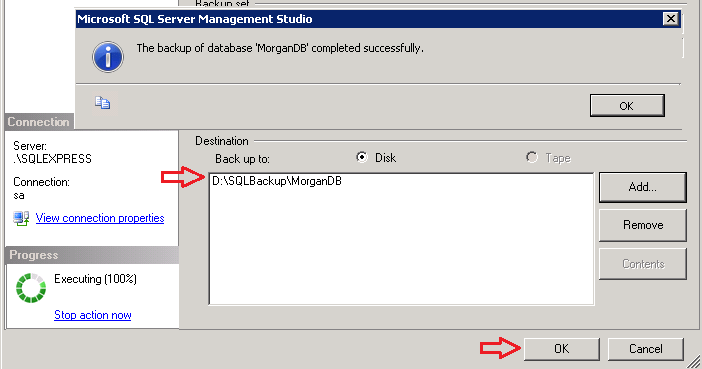 Click Add (empty) button, and select new SQL Database Backup destination, click OK to add new SQL Backup destination. 5. 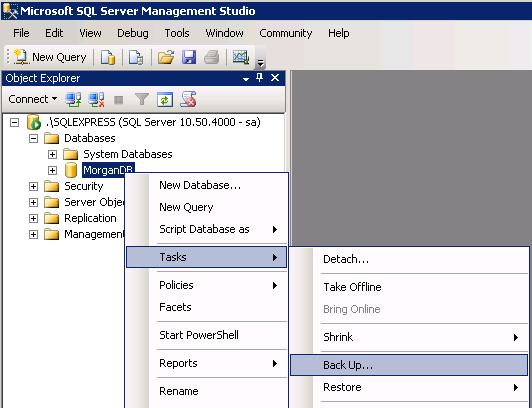 Finally, click OK to complete SQL Database Backup, you will see the message The backup of database "MorganDB' completed successfully on completion of backup process. 2. 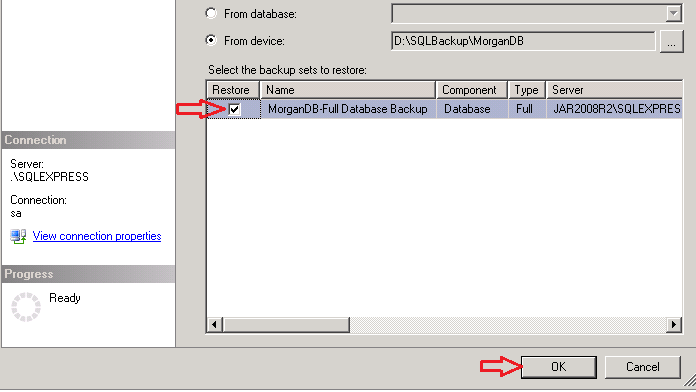 Type new database name and select the option From Device for restore database source, click Add (empty) button to select Database Backup file. 3. 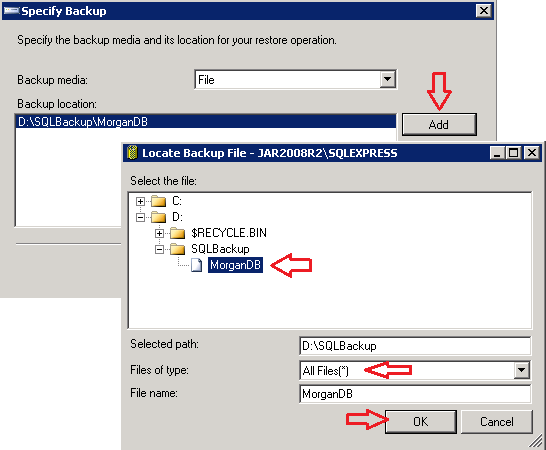 Click Add button, select Files of type as All Files, then select the backup file and click OK.
4. 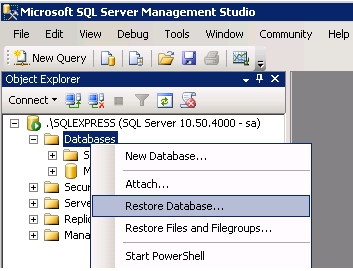 Select Restore check box and click OK to complete Restore SQL Database process. 5. 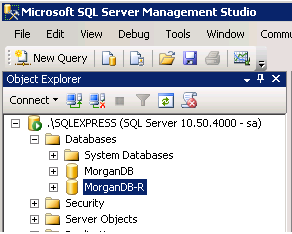 Now, you can see the restored database by expanding Databases node.